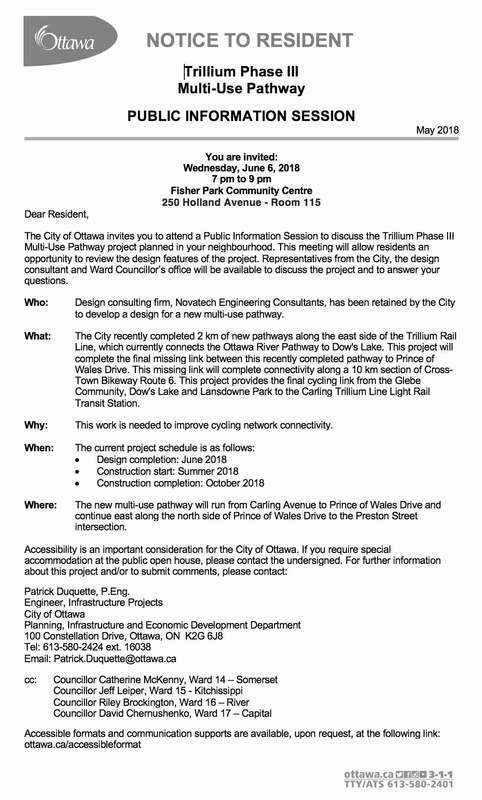 Please see the following invitation to the City of Ottawa’s Public Information Session on the Trillium Multi-Use Pathway Phase III: Trillium-Pathway-2018.jpg. This proposed pathway will run south of Carling Avenue and will connect the existing pathway beside the O-Train track and the NCC trails at Dow’s Lake. 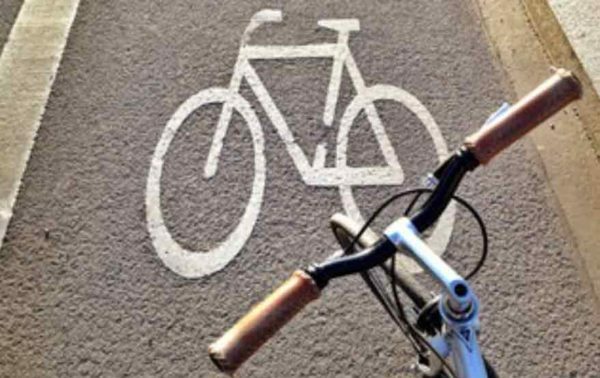 It will meet Dow’s Lake at the intersection of Prince of Wales and Preston, completing what had been identified as a ‘missing link’ between the two pathway systems. The meeting will provide residents with an opportunity to review the design features of the project. Construction is slated to start this summer and is expected to be completed by October 2018. The meeting will be held on Wednesday, June 6, 2018, from 7 to 9 pm, at the Fisher Park Community Centre, 250 Holland Avenue – Room 115. Next Next post: Great Glebe Garage Sale – Thanks to those who stopped in to say hello!